changing anything (or something like this). The free text(html) field is a bit strict on text that are being embedded into it. Usually scripts are not allowed to be embedded. This is the reason why scripts are being cleared. 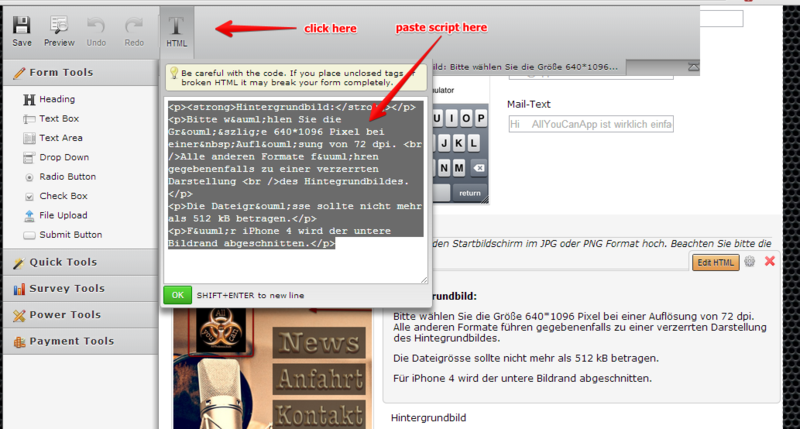 Try not using the Edit HTML button to embed the scripts.. use the HTML property instead. And then click OK button. Hope this help. Inform us if you have further question. i tried it that way, but the script are lost all the times. I want to add different payment systems (with different subscriptions) in the last area of the form. Can you give me another hint? would like to have a payment system, which allows various subscriptions. Therefore i check ion my form several conditions. Depending on the comnditions, one of 32 other forms should be displayed (with different subscription set). I generated these 32 forms in my account. I made all the conditions wotk with the wizzard, using 32 html fields, which appear or disappear. Even if I do it the was jonathan describes. Can you help me with an example? 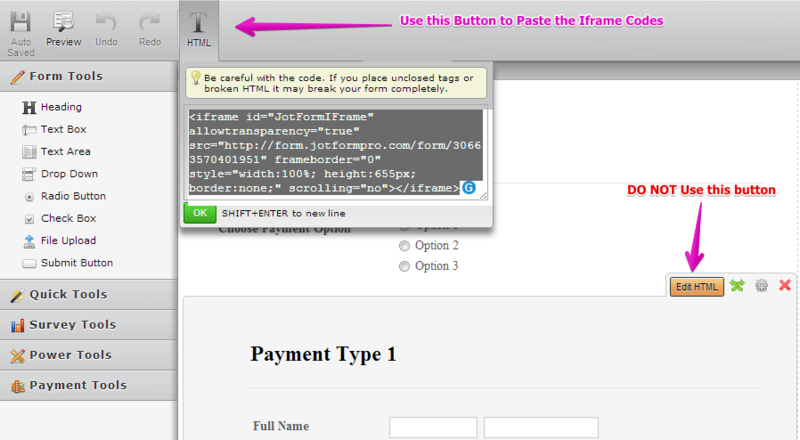 This guide will help you on how you can update Multiple Payment Form: http://www.jotform.com/help/161-How-to-Update-the-Multiple-Payment-Form. Have you followed this before? 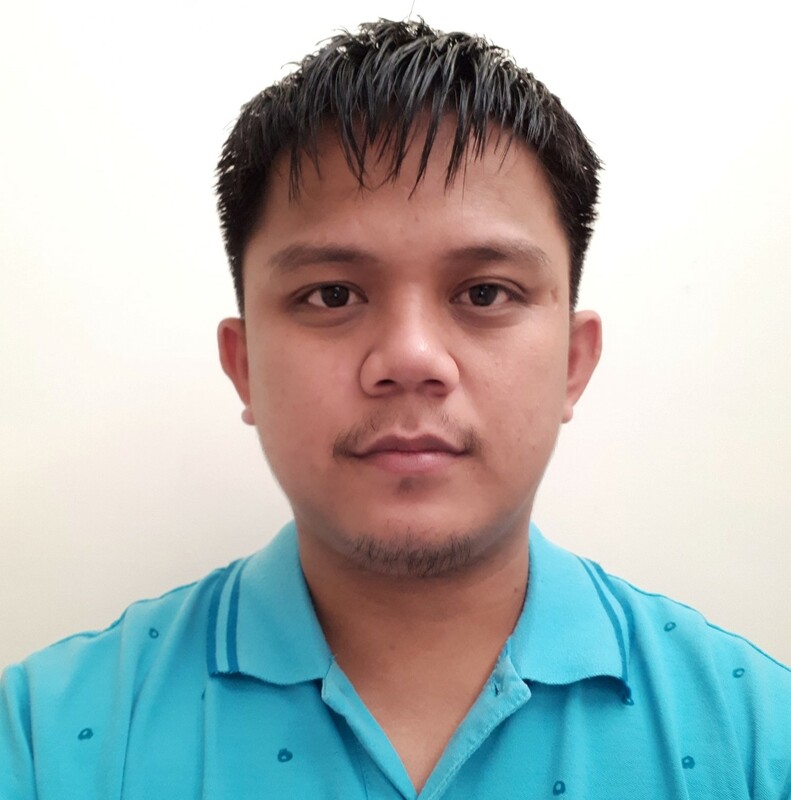 Hi Welvin,I did it the way your forum article "I am following this ok until I get to step #9My forms are set up so I h", but my scripts will be cleared - like jonathan told. I changed the way to paste them, but that doesn't help. I work's once in a while, but next time the html field cleared the script. I have some difficulties to understand the post, you rely on, Welvin. If I want to update a form, i need to have one in my basic form. But I can't integrate more than one Payment forms in my basic form. Therefore I made 32 other forms, where the different possibilities of subscription are combined (because - as I learned - I can use just one subscription in a form).I really don't see, how I can solve the problem with that post. No "div" and no "html_id". I think as long there is a <script> notation, the code will be cleared, if it's />&lt;script it won't be cleared. Is it that way? I tried it that way, the />&lt;script will not be cleared but the script doesn't start. I really don't know anymore what to do. Your assistance is really really important for me. Important: Only get the Codes highlighted in YELLOW. Delete the codes highlighted in Orange. 3. Still, when you edit the Free Text HTML field, always use the HTML Button from the Toolbar. This way, no codes will be stripped down. No Codes will be transform from ASCII to HTML Codes. I hope this works for you this time. This line should also be deleted from the iframe codes. I have it highlighted but after posting, the color disappears.